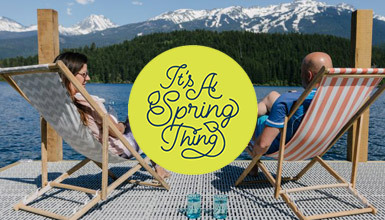 Eat, drink and be merry with specials available at some of Whistler's top restaurants during spring - Whistler's unlimited season. This special includes choices from the entire menu. Steaks and Grilled Lamb have additional charges. Available daily from April 15 to May 16, 2019. Available Sunday through Friday, excluding statutory holiday weekends, from April 15 to May 17, 2019. Available Sunday through Thursday from April 22 to May 23, 2019. Not valid in The Cellar or for groups. Available from 3 – 5 PM daily. Dine out in Creekside and upgrade your experience by adding an optional wine pairing for just $29. Available daily from April 15 to June 18, 2019. Choice of appetizer, main and dessert with nightly features. Available from May 2 to June 12. Also receive 20% off a bottle of BC wine. Available daily from 11 AM - 10 PM, April 15 to May 17, 2019. Available daily from 3 – 5 PM, April 15 to May 17, 2019. Available daily, April 15 to May 17, 2019. Available Monday to Thursday nights, April 29 to June 16, 2019. Available April 29 to June 16, 2019. Wine Wednesdays – 50% off all selected wines! Available from 5 – 9:30 PM, April 24 to June 22, 2019. Available every Saturday from 5 – 8 PM, April 24 to June 22, 2019. Choose your style of Eggs Benedict with a glass of sparkling wine. Available 10 AM – 1 PM on May 12, 2019. 40-cent Wings, $14.75 Molson Beer Jugs, $4.50 Sol Beer Bottles and $5.95 8-ounce glass of wine. Available daily from 12 – 3 PM and 11 PM – close, April 16 to June 3, 2019. Crystal Cheeseburger or Chicken Clubhouse with a side and a Molson Canadian pint for $15.75. Available daily from 12 – 3 PM and 11 PM – close, April 16 to June 3, 2019. Only valid with the purchase of a beverage. Excludes add-ons. Available daily, April 23 to June 14, 2019. Free Buck Hunter, pool and darts. Available after 7 PM, April 23 to June 14, 2019. From 3 – 5 PM and 10 PM – close with specials on 14 different drinks starting at $4 and 18 different food items starting at $5. Available April 15 to May 16, 2019. $10 brunch dishes all weekend and $6 Signature Caesars on Sundays only. Available every Saturday and Sunday between 10 and 11 AM, April 22 to May 16, 2019. Just $7.50 for a pound of fresh chicken wings or Vegan Buffalo Cauliflower. Wash them down with $6 pints of 3 Signature Rhino Beers. Available from 3 PM to close, April 22 to May 16, 2019. With the purchase of any 2 food items. Available May 1 to June 30, 2019. Step 1: Dine at the bistro. Step 2: Document your experience on Instagram stories or post. 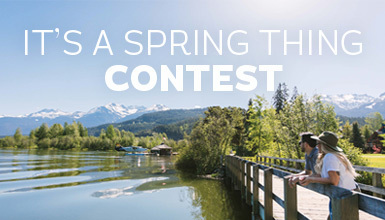 Step 3: Tag @fifisbistro, add location and tag #OnlyInWhistler Step 4: Show your server the post/story to have 25% applied to your bill. Applicable to all regular food items on Breakfast, Brunch & Dinner menus. Not applicable to bakery, grab & go, coffee or beverage items. Available April 15 to May 17, 2019. Not available on weekends or holidays. Enjoy a free sleeve with every purchase of a Firerock AAA beef burger, chicken burger or portobello mushroom burger. No substitutions and not redeemable with any other discounts or offers. Available daily from 11 AM – 11 PM, April 15 to May 16, 2019. Teishoku is a pre-set meal served with miso soup and rice with different seasonal variations. Options available include meat, seafood and vegan. Available daily from April 15 to May 17, 2019. Your choice of one of their 4 most popular sandwiches, plus a delicious side. Available daily from noon – close, April 15 to May 17, 2019. Available Sunday through Thursday, excluding holidays. Available April 22 to May 16, 2019. Available Sunday through Thursday from April 22 to May 23, 2019. Available daily from 3 PM in the dining room and bar, April 22 to May 17, 2019. For après or a night on the town. Available daily from 3 – 6 PM and 10 PM – close in the bar only (food available until midnight). Includes Daily Noodle Box, Spring Rolls and Drink. Available daily from April 15 to August 31, 2019. Use promo code Springthing. Available April 15 to August 31, 2019. Limitations apply and only valid with the purchase of a beverage. Excludes add-ons, nachos and wings. Available daily from April 23 to June 7, 2019. Parties no larger than 6 people. Available daily from May 1 to 31, 2019. Available weekdays only from May 1 to 31, 2019. Purchase any two raw desserts and receive a complimentary French Press organic coffee ($9 – $12). Available Monday to Friday from April 15 to May 15, 2019. Purchase any lunch item and a smoothie for $14. Must be a local to redeem. Available Monday to Friday from April 15 to May 15, 2019. Purchase their popular superfood breakfast bowl and receive a 2-for-1 smoothie card that's reedemable anytime. Available Monday to Friday from May 1 to June 29, 2019. Your choice of Meat, Sauce, Side and Biscuit with choice of Pint from eight draft taps. Available from 5 – 9 PM, Sunday to Thursday, April 15 to May 17, 2019. Available Sunday to Thursday for $35 per person and Friday to Saturday for $45 per person from May 1 to 17, 2019. Available Tuesday through Sunday (closed Mondays) from April 30 to May 31, 2019. Choose either a Splitz or lentil burger for only $4.99 + tax, or with fries and a drink for $9.99. Available Monday to Thursday from 11 AM – 3 PM, April 23 to June 16, 2019. Excludes kids meals. Available daily from 3 – 5 PM, April 23 to June 16, 2019. Choose either a Splitz or Lentil burger, fries and any local draught beer for $15 + tax. Now pouring Coast Mountain, Whistler Brewing and Steamworks. Available from 6 PM, Sunday to Thursday, April 23 to June 16, 2019. $1 off All Ice Cream and Milkshakes all day Sunday. Excludes single scoop ice cream. Available from April 23 to June 16, 2019. Admission for the museum and dinner is $65 for adults, $25 for youth ages 13 – 16, $9 for children ages 5 – 12, and children 4 years and younger are complimentary. Available on April 18, 19, 20, 23, 28 & 30 and May 5, 7 & 12, 2019. Available Sunday through Thursday from 2 PM, April 15 to May 16, 2019. Complimentary bubbles upon arrival. Featuring sparkling cocktails and live, acoustic music from Steph & Shane. Available from 2 PM on April 28, 2019. For groups of 14 or less, reservations for groups of 6 or more highly recommended. Available Sunday through Thursday from April 23 to June 20, 2019, excluding holiday Sundays. First course: Tandoori Chicken, barbecued in the Tandoor oven, or vegetarian Paneer Tikka. Second course: Choose between Butter Chicken, Chicken Tikka Masala, Chicken Curry, or any vegetarian/vegan dish on the menu (served with rice and naan). Third Course: Mango Ice Cream. Available daily from April 22 to June 22, 2019. Available April 15 to June 1, 2019. Available Sunday through Thursday from April 15 to June 1, 2019. Available daily from noon – 6 PM and 10 PM – 1 AM, April 1 to June 1, 2019. Available on Tuesdays from 1 – close, April 22 to June 28, 2019. Eggs Benedict (salmon, bacon or spinach) + gourmet coffee (latte, cappuccino, macchiato, Americano, etc.) Available daily from 10 AM – 1 PM, April 22 to June 28, 2019. $3.90 lager-of-the-day, $4.90 shots (Fireball, Burt Reynolds), $5.90 spirit mixers, $6.90 wine (Malbec, Sav. Blanc), $7.90 cocktail-of-the-day, $18.40 flatbread pizza + any après drink. Available Sunday through Thursday from 1 PM until close, April 22 to June 28, 2019. Brunch Cocktail (Sriracha Caesar or Mimosa) + Eggs Benedict (Salmon, Bacon, or Spinach) + Gourmet Coffee (Latte, Cappuccino, Macchiato, Americano, etc.) Available Saturday and Sunday from 9 AM – 1 PM, April 22 to June 28, 2019. Featuring specials on small plates from 3 PM to midnight. Available Sunday through Thursday from April 15 to June 13, 2019. Includes appetizer, main course and dessert. Available Sunday through Thursday from April 15 to June 13, 2019. Available Sunday through Thursday from April 15 to June 13, 2019. Not valid with other special offers. Available from 5 – 9:30 PM, Sunday through Thursday, April 23 to June 12, 2019. Not available on holidays. Available daily from 5 – 6:30 PM, April 23 to June 12, 2019. Available on Mondays from 5 – 9:30 PM, April 23 to June 12, 2019. Items from the kids menu, with the purchase of an adult entree. Dine in only, for kids 8 years and under. Available on Wednesdays from 5 – 9:30 PM, April 23 to June 12, 2019. Available Sunday through Thursday, April 15 to August 31, 2019. Available Monday through Friday, April 15 to August 31, 2019. 4 top restaurants in 1 Night for $106.24/person, not including tax. Available daily from 5 – 8:30 PM, April 15 to May 17, 2019. Choose from Hidden Gems or Finer Things tours. Not valid with any other offers. Available daily, all day, from April 15 to May 17, 2019. Pacific Northwest Cuisine. Available Sunday through Thursday from 6 – 9 PM, April 15 to May 10, 2019. The following black-out dates apply: April 19 to 22. 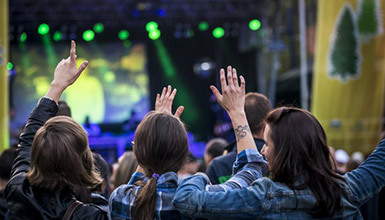 *While every effort is made to ensure the specials are correct, they are subject to change at the venue's discretion. Please check availability with the venue or your server. Reservations are recommended. Prices listed are per person and may be subject to taxes and gratuities.